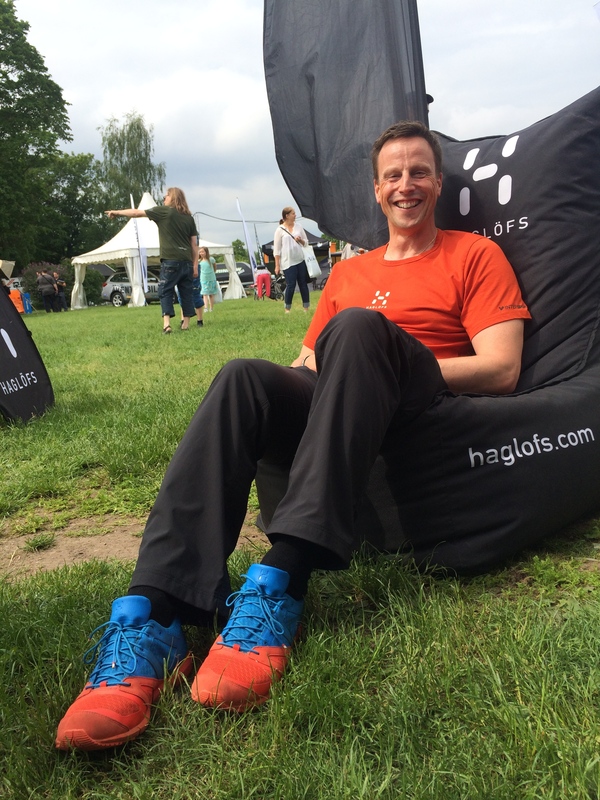 Friday 6th of June and the following day the class of 2014 at the Haglöfs Adventure Academy met up again at Stockholm Outdoor Exhibition on Djurgården. We started with a session where Annette Andersson, adventure photographer, taught us on what makes a good picture. Very interesting and for us an important skill to have since we have to be able to bring home pictures and tell our stories after we have finished our expeditions. Afterwards there were 14 students taking pictures from every possible angle to find the perfect composition! P asta time with Paolo Roberto! At Stockholm Outdoor he served different types of pasta from recipes from his family in Italy and local inspirations from Rome and Napoli. The truffle one was the clear winner! What does adventurer do after the exhibition closes? Obviously(!) we get a kayak each and then head out with our packs to find a nice campsite to spend the night. Dinner provided by 24 Hours Meals/Blå Band Expedition Meals. Shockingly good! Modern freeze dried food and soft tin packaged wet food has truly evolved. We got up early and during breakfast I used my USB charger from PowerTrekk. It has a kick(! ), it generates electricity from water using a catalyst puck. Perfect for the outdoors! After packing up we went by kayak back to the exhibition for the second day of training. First off some of us (not me) bravely practiced the technique for performing eskimo roll with a kayak, impressive to see when the instructors showed us how it is done. Then it was time for the last session. First Aid with Adventure Medicine. Good knowledge to have! Oliva showed us that size truly does not matter when it comes to carry a person using the fireman’s carry technique. To be with this group and listen to the different sessions is inspiring. Lots of good knowledge and ideas. Soon I we will be out on our on expeditions and I am looking forward to my own adventure Crossing Borders this July!